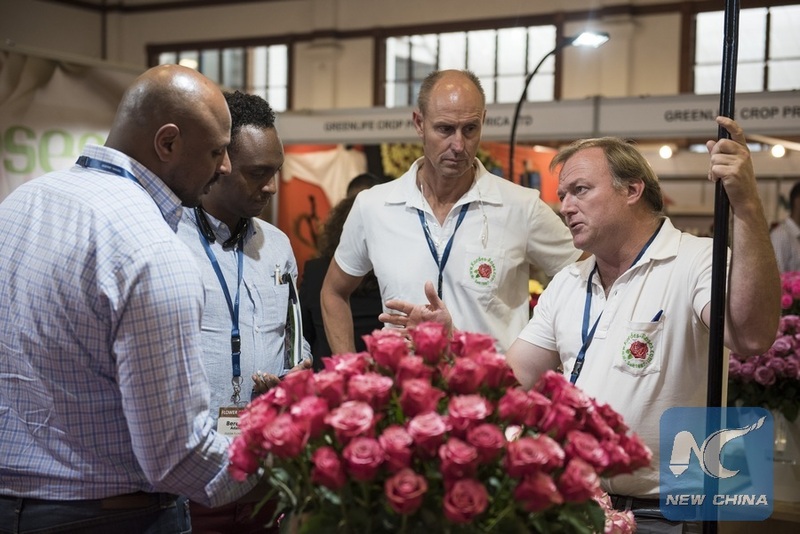 NAIROBI, July 11 (Xinhua) -- European firms that source flowers from Kenya have lauded the current political stability, noting it has improved their businesses. Marcel Zandvliet of the Dutch Flower Group, one of the largest buyers, said unfavorable political environment affects business since products are delayed or don't reach them at all. "We are happy with the current business environment. Bad political situations affect logistics making it hard for flowers to reach us," he said on Wednesday. He added that unfavorable news from Kenya further affects perception of consumers who shun products. "When people hear of the negative news, they buy from elsewhere which slows down business," he observed. The company mainly buys roses from Kenya, which they blend with others. "Kenya is our main source of flowers. We also buy from Ethiopia but Kenya is the major," he said. The firm sources flowers from growers in Naivasha, Mt Kenya, Kitale, Nakuru, Kiambu and Nakuru. The current business environment has improved following political pact between President Uhuru Kenyatta and his rival in last year's polls Raila Odinga on March 9. Kenya in 2017 exported flowers worth 1 billion U.S. dollars up from less than a billion dollars, according to statistics from the Flower Council of Kenya.